It’s a fact of life; we forget things. We forget little things like where we put our keys, telephone numbers, or to leave something out for dinner. We also tend to forget more important things like a friend’s birthday, an anniversary, or what made us fall in love with our spouse. Sometimes I think we forget the most significant and wonderful thing of all – God’s grace. Many years ago I made a workplace mistake that resulted in my being terminated. It was one of the most difficult times of my life; a time I’ll never forget. There was a dark cloud of uncertainty hanging over me, not knowing if the mistake would follow me into the future. I was scared, ashamed, and filled with remorse. Being a woman who’d always done my best to please people, I’d done the complete opposite; I’d disappointed them. I was sure I’d be judged and cast out by everybody forever. Amazingly, that’s not what happened. What happened wasn’t normal or expected. I wasn’t judged or cast out; instead I received truth and forgiveness. I learned about grace before I even knew what it meant. You see my employer, a prominent businessman in our community, was an alcoholic who’d been in recovery for years. He, at his lowest, was found blacked out in the bushes of his own front yard. He offered me grace; the same grace he’d received during one of the darkest times in his life. I wasn’t a Christian then and never knew he was until years later. He gave me something that pointed me toward God. He gave me something I never forgot. 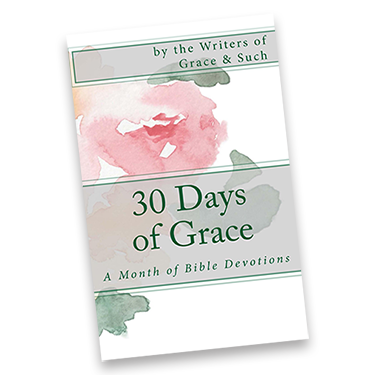 New Testament writers describe grace as kindness that God bestows. It is favor given to the ill deserving, which grants sinners the pardon of their offences and bids them to accept eternal salvation through Christ. The Apostle Paul’s words in Ephesians 2:5 remind those who follow Christ “it is by grace you have been saved.” And he goes on to say in verse 12, “remember that at that time you were separate from Christ, excluded from citizenship in Israel and foreigners to the covenants of the promise, without hope and without God in the world.” He’s reminding us we were all, at one time, hopeless, outcasts in need of God’s mercy and saving grace. Our challenge as Christ followers is to remember, remember, remember. Don’t forget what God’s grace has done for you and remember what God’s grace can do for those in need! Let your grace toward others be the way to show what putting faith in Christ offers them. Terri, this is beautiful. Convicting, redeeming, and such a fabulous picture of unmerited favor. LOOK at the seeds he planted when God allowed this hardship! I mean…wow. Thanks for the comment about God allowing the hardship. In the midst of the storm it’s hard to image a calm, but one always comes. I’m a grateful woman that’s for sure. Isn’t it so easy to forget what God has brought us through? How faithful he was through the fire? Thank you for this “reminder”, Terri. I need reminders ALL the time. I try not to dwell in the past and forget from where I came. It’s important, however, to remember how what we’ve been through shapes us as we journey into the future. Appreciate the note. Thank you for sharing this! God’s grace is so much more than we could ever wrap our finite minds around. Amen, Denise. Our minds will never get God’s grace – ever. Glad we don’t have to “get it” to “get it!” Thanks for sharing your thoughts. Senility doesn’t help with remembering, but this is one of those things that I hope never leaves my brain and my heart. Thx for sharing, Terri.